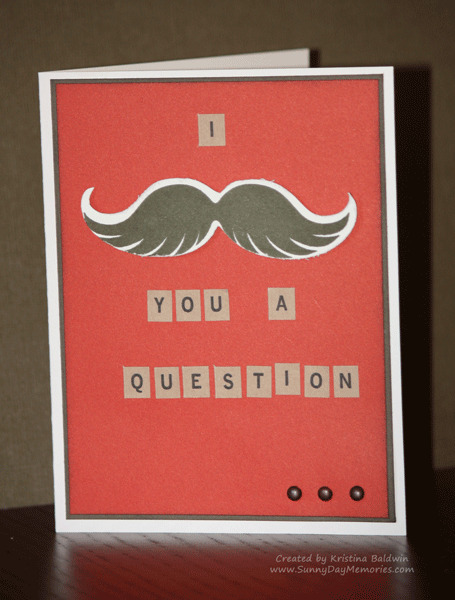 Card uses the Cricut Artiste cartridge to cut out the mustache (at 1″) and then the Perfect Fit-Dad Stamp Set along with the Keyboard Kraft Alphabet (adhesive-backed letters & numbers). 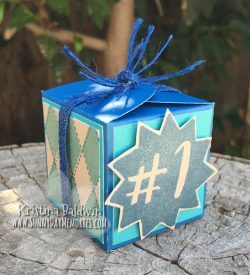 This entry was posted in CTMH Cricut Projects, Holidays and tagged Close To My Heart stamps, Cricut Artiste, Holidays, using clear stamps card making. Bookmark the permalink.